Capturing your baby’s milestones from the womb through their first year of life. Newborn babies are indeed a beautiful miracle. Flaky skin, red feet, and long eyelashes, newborns are a joy to watch and cuddle with. They want to be warm, fed and held closely. They love the smell of their mommies and want to feel safe in their arms. All these little details and precious moments are worth capturing in photographs because soon they will grow into big kids—faster than you want them to. So, wait no more, schedule your newborn photography session with us today and let us help you preserve these beautiful moments while they are still tiny into great memories for a lifetime. At Rock a Snap Baby, we artfully combine standard portraiture with lifestyle photography to create breathtaking and timeless photographs that you and your family can cherish for generations. The newborn baby photography experience is about capturing the important milestones of your baby’s life. From the time your baby is growing in the womb, to the time your newborn baby is welcomed home for the first time. We specialize in maternity and newborn photography as well as family portraits. We strive to create beautiful memories for every parent that puts their trust in our newborn photography studio. The best time for a newborn photography session is between 5 and 14 days. This is because the baby is still itty bitty and a newborn. Posing at this age just flows seamlessly as the baby will most often sleep through the entire session. After two weeks, most of the babies go through a growth spurt. They start to move, stay awake and become more vocal. So, we recommend the session to be booked before 14 days. 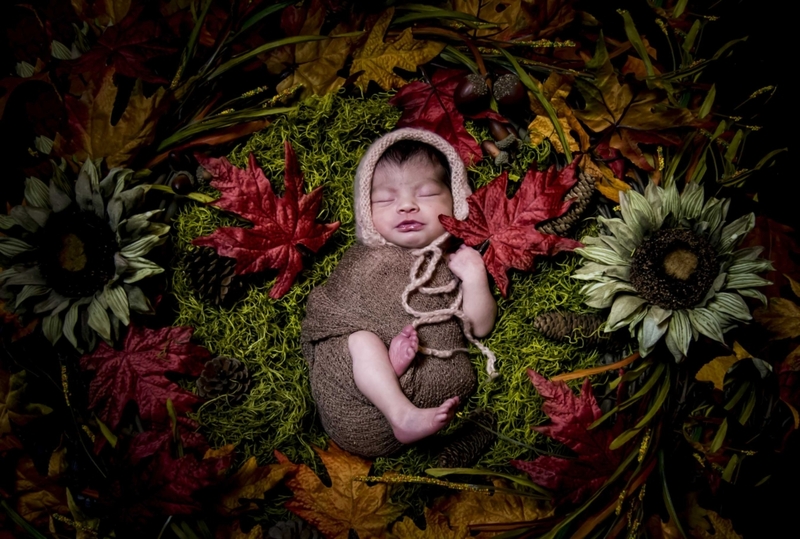 Typically, newborn photography sessions are held in our studio. They can take nearly 2 to 3 hours to complete and this is why we take great care in ensuring the safety and comfort of your little one. 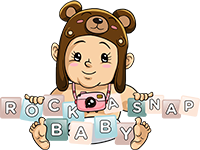 Unlike other newborn photographers, at Rock a Snap Baby, we provide you with all the newborn photography props, such as blankets, bonnets, hats, baskets, wraps, knit hats, bloomers, headbands, and little outfits. We have everything you need to make your little angel stand out in their first ever photography session. So, let’s come together and capture those golden moments of your newborn and all the little details that will change in the blink of an eye. We also give you the chance to share your ideas, thoughts and how you want the session to be like. We can do a newborn photography session according to your requirements—just the way you want and desire. Book your session with us today. A stress-free newborn photography experience! Our Newborn Baby photography sessions include backdrops, a variety of adorable props, outfits, and hats for you to choose from. We also provide posing pillows, blankets, and wraps for a stress-free experience!